Postage is £6.00 with U.K and £9.00 for international orders (this may vary depending on location), Prices includes insurance to cover cost of items. We take payment as soon as an order is confirmed. If we are unable to fulfil an order a refund will be made. We deliver signed delivery normally within 5 - 10 days. Goods will be shipped to you 1st class recorded delivery. Due to a delay in delivery or if the product is no longer available, you will be informed within 48 hours . If for any reason you are unsatisfied with a product, return the item in its original condition & packaging. Items must be returned within seven days, if deemed fit an exchange or refund will be issued. Refunds/ exchanged items normally take 5 - 10 days. Clothing home & kitchen goods are labelled with care instructions , however digitally printed fabrics may after excessive washing maybe prone to colour fade. To avoid any reduction of quality it is suggested that clothing is dry cleaned only. Bags and purse maybe damaged if wash and its suggested they cleaning are treated by dry clean only. Copyright: All designs of fabrics and garments are copyrighted to Collette Costello. 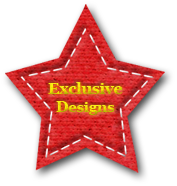 Designs will be still be owned Collette Costello upon purchase. Designs can not reproduced without permission. The fabrics and garments can only be re-sold with permission of Collette Costello. All fabrics and garments re-sold must make reference to the Collette Costello brand. We aim to provide original, funky and individual designs. While providing the customer with high quality fabrics and most importantly practical clothing.